Discovering the significance of place, culture, how people interact with the landscape, and creating public art that expresses shared understanding is providing a unique experiential learning opportunity for students from Esmond Station K8, Cienega H.S. in Vail and Baboquivari Middle/High School in Topawa, Tohono O’odham Nation. The greater Vail area was part of the Tohono O’odham traditional homeland. Until the mid-1930s it was part of their annual seasonal migratory route through the Tucson Basin. Guided by humanities scholars and Tribal Elders, the students are exploring significant sites in Vail and the Tohono O’odham Nation. They are discovering the importance of community, human connections to the landscape and the shared places that both communities have called home. The students will create two public art murals that will be placed within their respective communities. They will hold public forums to gather additional insight and share what they have learned. Together We Will Tell Our Story takes place over the course of six months. It is a long-term commitment on the part of participants and their families. Our goal is that it will result in a long term relationship between Vail and the Tohono O’odham Nation that enriches both communities. The multifaceted educational experience and the resulting public art installations will leave a lasting legacy in the lives of participants and their communities. This place-based learning experience is a first step in building understanding, empathy and reuniting two communities that have called the same location ‘Home’. We deeply appreciate the support of Arizona Humanities that has made this project possible. Why Heritage Truck Gardens? Afarm raises produce intended to be sold locally. Gardening and farming for household use and to take to market was an important part of Vail’s early economy. The railroad families at the historic Esmond Station, that the school is named for, raised gardens and fruit trees to feed their families. 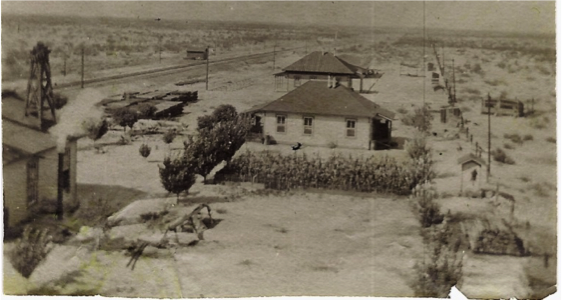 The area now called Rancho del Lago was, from the late 1880s, one of the largest farms in southeastern Arizona. Called “a visionary farm operation”; hay, barley and other crops were grown by homesteaders Carter Crane, John Fraker and their families. Their farms supplied feed for the horses and mules that pulled stagecoaches and wagons between Tucson, Vail, Helvetia, and Tombstone. They watered their crops by channeling the waters of Cienega Creek. By 1910 the Tattersfield family purchased the farm and named it Rancho del Lago. They expanded the operation to include truck gardening. They grew asparagus, strawberries, squash, watermelons, tomatoes, fruit trees and more. The family got up at 1:00 a.m. each morning to load their wagons, and later trucks, to head down a long winding dirt road to Tucson to sell their produce. 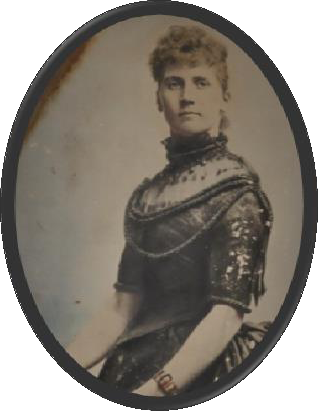 Alma Tattersfield had five sons. The entire family worked hard to make a life at Vail. Here is part of a letter she wrote a friend in Switzerland, where she had grown up in a family of lesser royal rank. Her words reach across the years to reveal the isolation & hard work it took to build a life in early Vail. Letters were the only link connecting settlers who had come west, with friends and families left behind. Settlers often brought seeds, seedlings, or saplings with them from their home country. These provided not only food, but kept memories of home, and their family left behind, close to their hearts. Gardens were an important part of a family’s food and income. Gardeners took pride in their crops and often entered their best produce in the fair. Connecting Community Through Local History is the mission of Vail Preservation Society (VPS).VPS is proud to collaborate on the Heritage Truck Garden program through funding and other support. We hope students will love gardening and share that knowledge. Students will enjoy their produce and also be able to share it with IMPACT, our local foodbank. In doing this, their work will also help others. Students had their work gloves on and their shovels ready. The Fruit Tree Planting Foundation and Vail Preservation Society brought a 23 tree orchard to their school on February 12th 2016. The Heritage Truck Garden & Orchard at Esmond Station K8 School provides hands-on experiences that involve students in the planning, decision making, work and follow through it takes to garden as they establish habits and gain skills for a lifetime of healthy living. 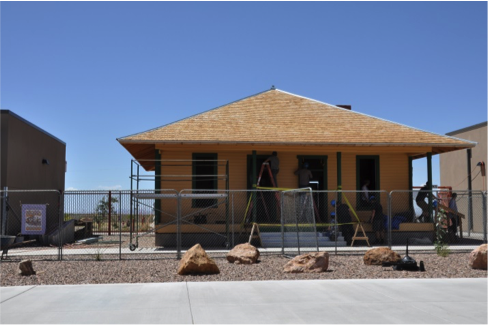 When produce is harvested the students will first take it to the 1915 Railroad Section Foreman House that sits in the middle of this railroad themed school. Fruit and produce will be part of students’ meals and snacks, and some will be donated to the IMPACT Vail food bank providing fresh produce for 205 families. We appreciate the Fruit Tree Planting Foundation. Thank you!